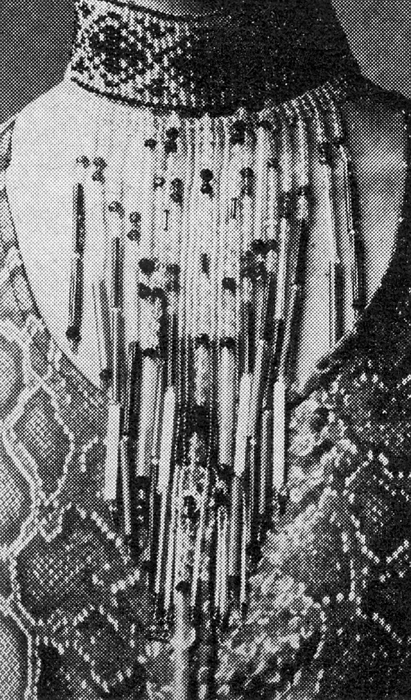 Arabella Churchill and violet velvet choker: Bead in flower and loop, £3 at Thea Porter (her ribbons have butterflies too). 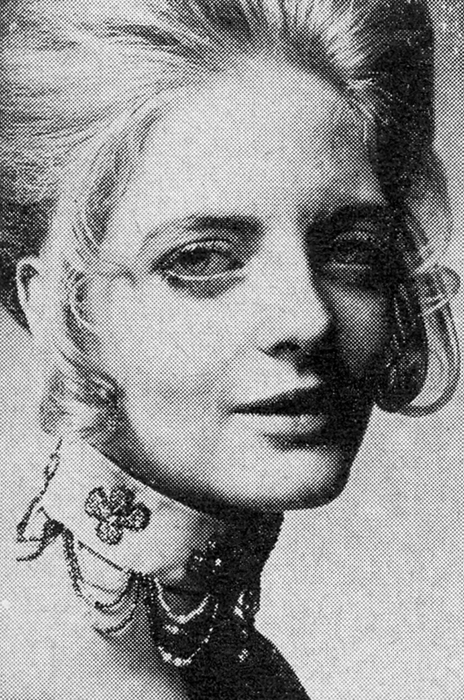 Gibson Girl hair by Patricia of The Cadogan Club, Sloane St.
Scanned by Miss Peelpants from Vogue, April 1970. Indian glass bead choker, clever pretty patterns and tinkling fringe. One wide and black and white, £12, one narrow and yellow and orange, £6. By Bibette, at Thea Porter, 8 Greek Street. Ika Hindley is the twenty-three year old temporarily red-haired model who out-acts Bernhardt or Garbo on the catwalk. Give her a dress and she gives it soul. 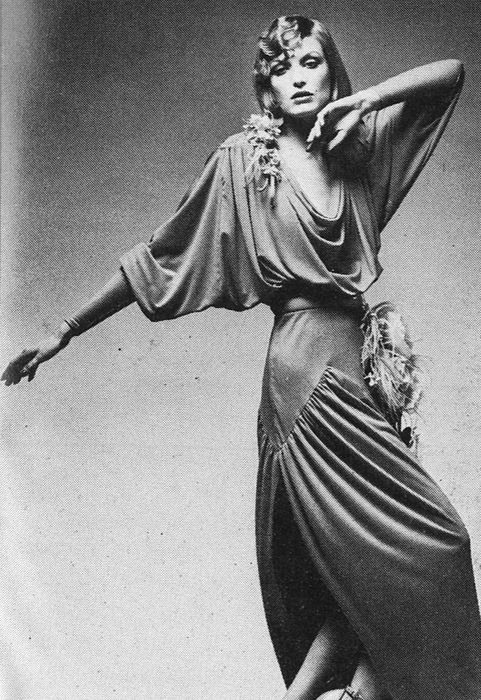 When wearing Bill Gibb’s vamp dress at his headline-making launch collection, BBC cameramen filmed a three-minute take of Ika doing her number. “I’m hoping it will get me into films. Underneath all this pink paint there’s a frustrated actress,” says Ika who takes voice, dancing and singing lessons. All of which give her catwalk appearance extra oomph. And oomph is what Bill Gibb’s clothes have in plenty. Film star Twiggy and actress Irene Worth are favourite customers of the shy Scottish lad with the special fashion flair.